Home > Household Deals > JCPenney | 300 thread count 100% Cotton Sheet Sets, $9 ea. JCPenney | 300 thread count 100% Cotton Sheet Sets, $9 ea. 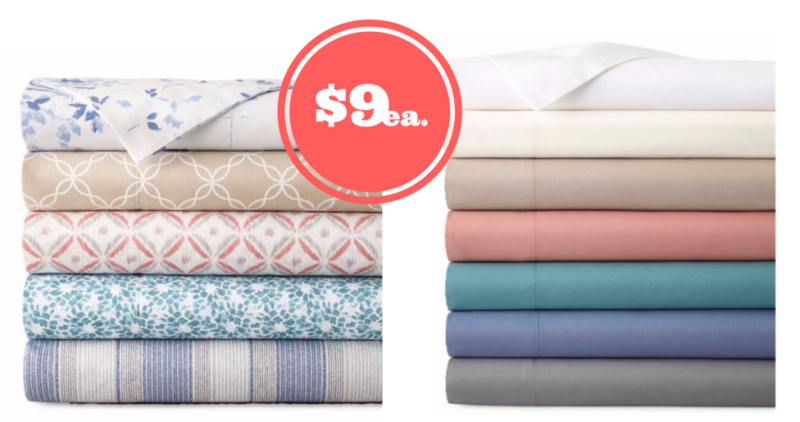 Head to JCPenney to score a great deal on twin sheet sets! Right now, 300 Thread Count 100% Cotton Ultra Soft Solid Sheet Sets are on sale for $14 (reg. $50). Add 2 to your cart and you can use new promo code for $10 off your purchase of $25 or more, to make them just $9 each! Use promo code BIGSALE4 at checkout for $10 off. This deal is also available for Printed Sheet Sets! Choose “Ship to Store” at checkout for just $3.95! Standard shipping starts at $8.95.